Devon is a beautiful part of England so we were delighted to be asked to provide a ceiling for this luxurious new coastal property. 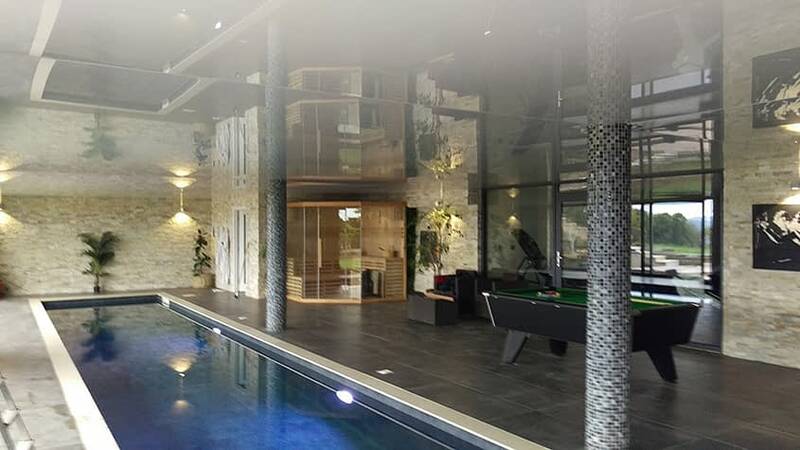 The ceiling was required for their enormous ‘leisure suite’ complete with indoor swimming pool, sauna, gym and lounge area. As the ceiling height was low, a stretch ceiling was the obvious choice for this space. Stretch ceilings take up less height than a traditional plasterboard ceiling but even better you can employ a mirrored finish which not only reflects light into the room but also makes the room appear larger and taller. The owner, a keen backstroke swimmer, is also delighted that he can check the ceiling to see when he’s reaching the end of the pool. Due to some issues with the construction of the roof we were subsequently asked to help find a solution to minor leaks that occur from time to time. We created a simple vent system that reduces condensation on the metal beams (again a construction issue) as well as giving the owner an easy way to get rid of any water from the leaks. 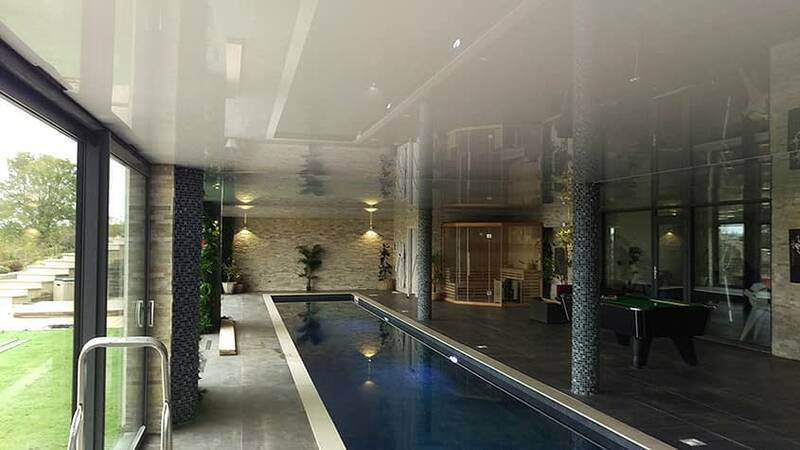 A mirrored stretch ceiling to reflect the pool and light. With the added benefit that the owner could keep an eye on their backstroke technique!